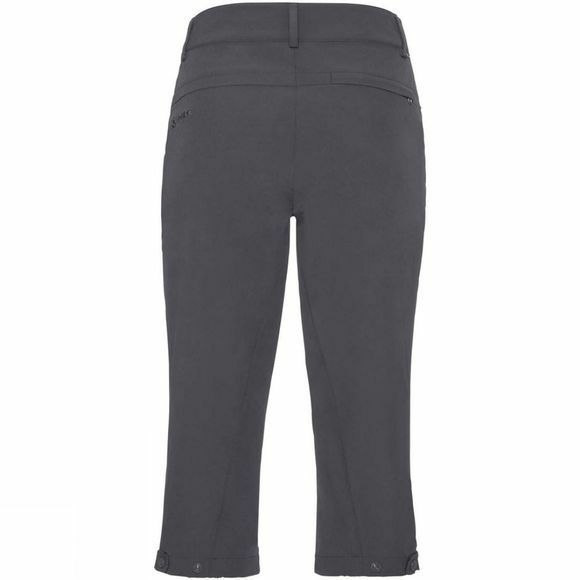 The Womens 3/4 Yaki II Pants from Vaude are lightweight 3/4-length bike pants for summertime biking tours. The soft and stretchy fabric is easy-care, dries fast and has high UV protection. 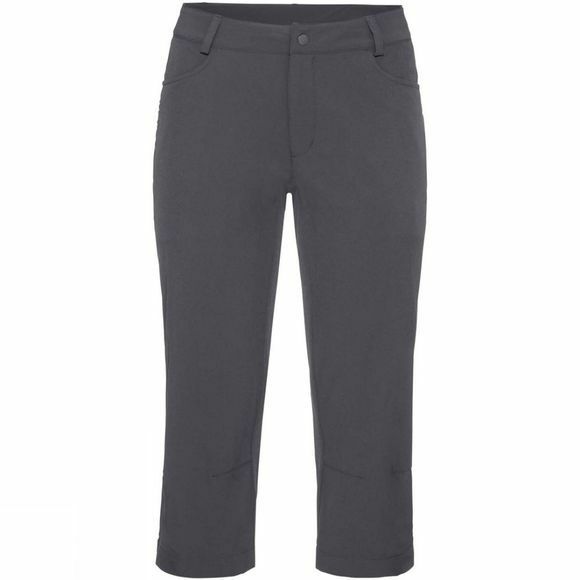 Removable inner pants with a performance chamois are included. The primary material is made in accordance with the strict bluesign system eco standard. The Vaude Green Shape label stands for environmentally friendly, functional products made from sustainable materials.